This year is going to be very tough for crypto miners. On the one hand, the market stagnates, reducing the profitability of mining while on the other, it becomes harder to increase the efficiency of mining by purchasing more productive equipment due to the “ASIC resistance” – the struggle of сryptocurrency miners with high-performance ASIC farms. The embodiment of ASIC resistance was an update to the Monero network algorithm in early April. The reason for this extraordinary step was the development of a new super-powerful Bitmain Antminer X3 miner based on an ASIC chip, designed specifically for calculations carried out on the CryptoNight algorithm. This algorithm is used by such cryptocurrencies as Monero (XMR), Bytecoin (BCN) and Aeoncoin (OROSA). Bitmain’s plans alarmed the developers of cryptocurrency, as the release of super powerful Antminer X3 created a threat of mining capacities centralization and “51% attack”, one of the key vulnerabilities of the Proof-Of-Work algorithm. The point is that if a miner or the pool of miners control more than half of the hash rate, they have the opportunity to add their branches and thereby manipulate two-way transactions, not confirming the new ones. In particular, “51% attack” can lead to a “double waste” – unscrupulous miners will be able to sell the same coin several times, recalling complete transactions. This is not just a theoretical threat. Over the past few months, there have been several cases of “51% attack” on cryptocurrencies, based on the PoW blockchain algorithm. The first victim was the anonymous Verge coin, which has undergone at least two attacks since April. In May, intruders were able to spend a double waste in Bitcoin Gold network for $ 18 million. Later, one more cryptocurrency, MonaCoin, suffered from the “51% attack”. There exists event special website Crypto51.app, calculating the cost of an hour of attack 51% on cryptocurrencies based on the PoW principle. According to these calculations, the hour of the attack on the Bitcoin blockchain will cost more than $ 530,000 USD, and in case of Ethereum – about $390,000 USD. The attack on smaller networks will cost cheaters much cheaper. For example, about $2,200 is needed in order to get the larger half of the Ethereum Classic network hashrate, Ubiq network will cost less than $500 USD, and the attack on Mooncoin blockchain – only $7 USD. To protect their coins from such troubles, Monero developers decided to change their own XMR protocol every six months to make it less interesting for ASIC-miners. This decision has been supported by other cryptocurrencies’ developers, from the co-founder of the GoByte platform Antonio Moratti to the founder of Siacoin David Forric. However, the most radical approach to the problem was demonstrated by the Ethereum team. Being confident that the problem of the leading cryptocurrency is the Proof-Of-Work principle, the ETH developers decided to create a new protocol, combining the parameters of two algorithms – Proof-Of-Work and Proof-Of-Stake. The new protocol, called Casper, should completely change the way Ethereum blocks are generated and distributed. In the future, the Ethereum team plans to completely switch from PoW to POS. The main difference between the two algorithms is that in case of PoW the participants spend real money for purchasing real computers that consume energy and calculate the blocks at a rate proportional to the costs, while using PoS the users buy virtual coins inside the system for real money, then the protocol converts these coins into virtual computers, which, in turn, calculate the blocks. With this approach, the probability of signing a block depends not on the processing power, but on the number of coins on the user’s account. Now PoS algorithm based cryptocurrencies are exotic – perhaps, only NXT and BlackCoin are traded in the crypto market. The big popularity among the crypto traders was gained by coins, using the masternodes technology. In particular, Dash and its improved version – GoByte (GBX). It is worth mentioning, that the Dash blockchain had never faced any security problems or serious hackers’ attacks. GoByte borrowed its blockchain and masternodes technology from Dash, allowing users to earn money simply for the wallet work, almost without using the power of the computer. Masternode is a network unit that stores a complete copy of the blockchain, checks the transactions and includes them in the block. In fact, this is similar to the same work that original miners of BTC, ETH, and other PoW-based cryptocurrencies do. Therefore, just like the miners, owners of masternodes receive coins for each block discovered. But the profit is higher than with traditional mining, even without taking into account the fact that there is no need to buy an expensive farm to organize masternode (you can use a personal computer or even a laptop). There are also no huge electricity bills, burned motherboards, neighbors’ complaints about noise, and other “delights” of traditional mining. Another financial advantage of a masternode in comparison with the mining – the commission. In PoW-Mining, the commission fee for transfers depends on the miners who set the fee amount for which they are ready to make a transaction. The commission is taken as a percentage, so the larger the transaction amount is, the higher the commission is needed to pay. For example, in the Bitcoin network during peak load periods, the commission for fast transactions can reach 100 dollars. Such periods can last up to several weeks, making small and fast payments impossible. When using the PoS algorithm, the transaction size does not matter. The transfer fee is fixed and always the same. For example, in the GoByte Pay network, it is practically reduced to zero – only $ 0.000028 USD. However, in order to become the masternode owner, it is necessary to deposit a fixed amount of coins of the network. For each cryptocurrency, the deposit size is different and can reach impressive amounts. For example, in order to become the holder of DASH masternode, you will have to lock 1000 DASH (more than $300,000 USD) in your wallet. At the same time, the masternode brings about $2,000 of income monthly. Less popular coins are more cost-effective. For example, in order to become a holder of the GoByte masternode, you need to deposit only $3,000, and the masternode will provide $300 USD of income every month. But the potential profit is not limited by this amount – the correctly selected coin will give you the opportunity to earn in the future by selling your deposit. Therefore, it is important to estimate the market potential of the coin and the prospects for its development. From this point of view, GoByte may look like one of the most promising solutions available on the market today. Judge for yourself. There is a system of rewards in the GoByte cryptocurrency, reaching almost 50%. The transaction speed is instant, regardless of the amount of funds. The security system ensures complete anonymity of transactions. To work with GBX developers offer the official Gobyte wallet, available in both versions for Windows 32-bit and 64-bit, Linux, MacOS. Soon it is planned to launch a mobile version of the crypto wallet. The GoByte Pay platform acts as a payment system, which includes a crypto wallet (while there is only GBX cryptocurrency, but other currencies are planned), business processing. Unlike PayPal, the GoByte Pay module does not process payments or transactions. Transactions are processed and confirmed through a chain using masternodes and miners, offering a more decentralized alternative to PayPal with almost zero commission. For comparison – on GoCoin commission is 1%, Coinbase – 1%, BitPay and CoinPayments – 0,5% per transaction, and in PayPal – generally 4%. 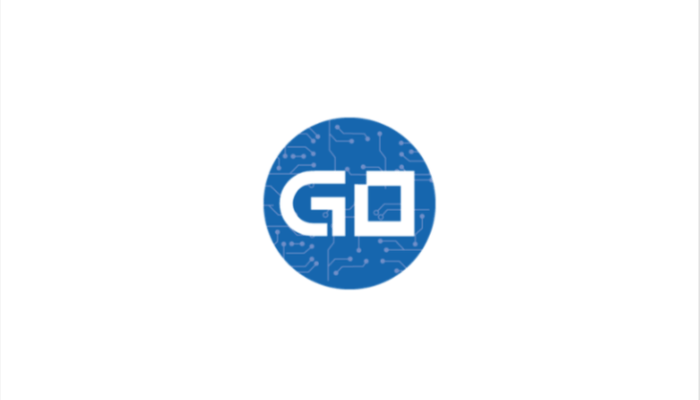 The minimum payout is only 0.00001 GBX, in contrast to the set minimum of 0.01 BTC and 0.1 LTC required for the GoCoin platform or 0.001 BTC, required by the CoinPayments platform. GoByte devs are also planning to launch the very first POS-terminal for business with the possibility of cryptocurrency payments. These terminals based on Android OS will generate QR codes and new GoByte addresses directly inside the Pay module and will be able to accept, reject transactions and print receipts. Moreover, the terminals will also include readers for the GoByte Pay cryptocurrency cards, which allow cashing out cryptocurrency and making transfers to bank accounts. GoByte crypto terminals are planned to be located in cities with high traffic and tourist destinations around the world, beginning with Malaysia and the eastern part of Europe. Due to the low fixed rate of withdrawal, depositing and transfer of funds, they will be able to compete with traditional VISA and MASTERCARD ATMs, which charge high fees for international transactions. In addition to the advantages described above, a major upgrade is planned on June 8, after which the amount of remuneration to holders of the masternode will increase to 70%, to miners – 30% over the next 4 months. The conclusion is obvious – nowadays cryptocurrency mining is too expensive and financially risky for an ordinary user. It is easier and more profitable to become a masternode holder.